Putting together a Chinese New Year party is fun, cultural, and unique. Consider it a great excuse to get friends together in January or February for something educational and enjoyable! 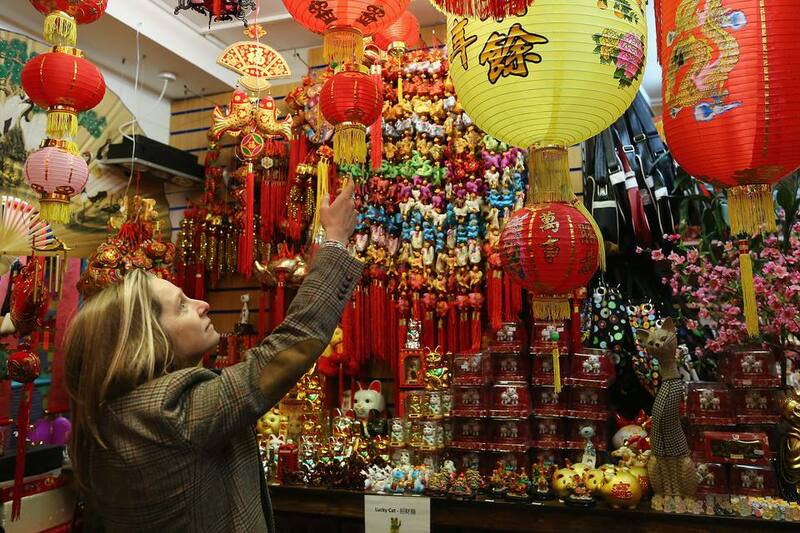 Nearly everyone has heard of Chinese New Year, more correctly termed as the Lunar New Year. The holiday is the most widely celebrated in the world, but not many Westerners are sure of how to go about planning a party. If you won’t be going to one of the many Chinese New year celebrations around the world, consider organizing your own little gathering to observe the Lunar New Year and usher in some good fortune! Friends will appreciate the opportunity to get together and learn something new once Christmas and NYE are in the past. Mailing invitations may feel a bit formal, but it builds excitement and authenticity. You can purchase or print some authentic ones from sites online, then mail them as postcards or in decorated envelopes. For Americans, the USPS’s Lunar New Year stamps will add a nice flair. You can find them for sale in post offices or on the USPS store website. Whether you invite guests via old-fashioned snail mail or social media, you should include some basic suggestions and instructions in the invitation. Many attendees may not know what a Chinese New Year party entails. Spruce up the email or Facebook invite with links to informative articles and photos of Chinese New Year traditions such as the lion dance. Explain the significance and reason of celebrating Chinese New Year: out with the old and in with as much good fortune as possible. Anyone who has already let slide NYE resolutions may appreciate a second go at it! You should warn your guests about wearing white or black — traditional mourning colors. Gold is good, but red is the best color to wear for Chinese New Year. You can suggest that guests bring small gifts in red envelopes — cash or gift cards in small amounts are ideal — along with candies to exchange. Known as hong bao, these are especially important if any children will be attending. If guests ask about bringing food, suggest they bring some simple snacks often enjoyed at Chinese New Year. A bag of Mandarin oranges will work in a pinch. Tip: Keep your instructions in the invitation simple, or people may begin to think your party is too much effort! Buying a new outfit or wearing one that hasn’t been previously worn is the usual custom for Chinese New Year. Avoid wearing black or white clothing on Chinese New Year; both are colors traditionally worn for mourning in Chinese culture. Gray, ashen, and charcoal colors also fall into this category. Instead, opt for red, gold, or vibrant colors when possible. If you don't have a suitable outfit, you can still give a nod to tradition by wearing a red accessory; red scarves are a popular choice. Wearing red has nothing to do with China’s current political inclinations. The custom dates back for centuries. Mythology maintains Nian, the beast that comes out on Chinese New Year to attack people, is afraid of the color red and loud noises — that’s why firecrackers are thrown and symbols are crashed during celebrations. Another theory suggests red is an auspicious color because the word for red (hóng) sounds similar to one of the words used for prosperous. Any cutting done during Chinese New Year is viewed as unlucky. You should trim your nails, shave, and get a haircut before the holiday if necessary. If you really want to follow superstition, washing your hair on the Lunar New Year is considered risky as you could wash away new good luck that is accumulating. You have three options for organizing your Chinese New Year food: prepare everything yourself, get what you can from Asian supermarkets, or opt to let a Chinese restaurant prepare everything. If you decide to let a restaurant take care of food, put your order in days in advance: restaurants in places with large Chinese populations will be inundated with orders. Begin with a clear soup. The classic, familiar wonton soup is an easy choice. Stuffed dumplings (jiaotzi) are a must. If you’re not up to the task of folding them from scratch, get a big box from a restaurant or buy them frozen from Trader Joe's. Noodles should be served and eaten, uncut if possible. The length represents long life. A fish dish should be present and shouldn’t be finished completely. For tradition, choose a whole fish with head and tail still on; steamed is ideal. The fish represents abundance and prosperity. If you think everyone will be squeamish about the head, remove it before the big day. No cutting during Lunar New Year, remember? Spring rolls represent wealth. Again, these can be purchased frozen or from local restaurants. The word for lettuce in Cantonese sounds like rising fortune, so lettuce wraps are a good, healthy choice. Mandarin oranges are popular for many reasons. Pears are considered unlucky. If dinner for your Chinese New Year party will be of the sit-down type, knowing some basics about Chinese table manners will make for interesting, educational conversation. Clean the house thoroughly and remove any clutter. The idea is to make as much room for incoming luck as possible. According to superstition, you don’t want to inadvertently sweep out or clean away new luck as it comes in during the festival; avoid cleaning during the 15 days of Chinese New Year. Houseplants should be trimmed and dead leaves removed. All pruning, indoors and out, should be done before the festival begins. Purchase or make red Chinese lanterns to hang both inside and outside. You can also use a lantern as the centerpiece of the table. You'll find paper lanterns for sale in large arts and crafts stores. Although party stores will have plenty of Chinese New Year decorations available for sale, you can print your own calligraphy to place strategically around the house. Get some heavy-stock paper from an office supply store. Choose lucky characters such as those for “fortune,” “luck,” and “spring.” Smaller symbols can be cut to playing-card size, glued to popsicle craft sticks, and then placed in potted plants. Keep in mind the Chinese zodiac animal sign for the upcoming year (e.g., Pig, Goat, Monkey, etc) and give homage with a paper representation of the animal somewhere. Consider printing a blurb with the birth years and attributes for the new animal sign. Give this to guests so they can find out if it is their ben ming nian (year they should play it safe). Fresh flowers are important, but don’t choose white flowers such as winter paperwhites — they are given at funerals. Guests may not be in too big of a hurry to buy and exchange gifts again in the wake of Christmas, although etiquette dictates that they bring something small to the party. You can reciprocate with witty door gifts or personalized items for each friend. Gifts can be small trinkets, red envelopes with small amounts of money or gift cards inside (hong bao), candies, or even healthy snacks. Although doing so requires more effort, each gift should be catered to a specific guest and represent some wish you have for their health or prosperity in the new lunar year. For this reason, thoughtfulness is more important than the monetary value of the gift. A quick, inexpensive way to customize gifts is to print favorite photos of the two of you. If this is your friend’s ben ming nian (zodiac birth year), give them something red to wear or a piece of jade jewelry. They need help with their feng shui to avoid bad fortune until the next lunar year. Although one of the focuses of Chinese New Year is good health, there are usually plenty of adult beverages to go around. Small “airplane” bottles of the guests’ favorite drinks are an easy gift option. For bonus points, know how to say "cheers" in Chinese. Treats don't always have to be healthy. You can also give sweets and baked goods; decorate cookies with bright red. Chinese gift-giving tradition dictates you shouldn’t give umbrellas, handkerchiefs, watches, white flowers, or anything sharp. If a friend has their own umbrella or handkerchief, they won’t need yours one day! Watches indicate that time is running out, and sharp objects represent the cutting of ties. Gifts that relate to the number "4" in some way should not be given. The Chinese word for four sounds close to the word for death. Gifts that come in pairs or related to the number "2" are ideal. As guests arrive, know how to greet everyone by saying happy new year in Chinese! You may want to incorporate some Chinese New Year entertainment beyond just enjoying food and drinks. Games involving skills with chopsticks are a popular tradition and easy to set up, although they shouldn't be played with the chopsticks while you are eating! With some uncooked rice, beans, and other hard-to-pick-up items and a timer, you can come up with all kinds of simple, creative games that are good for laughs. Tip: The games shouldn’t involve guests passing items to each other using the chopsticks. Passing bones with chopsticks is a funeral rite in Asia. Calligraphy contests are an easy way to have some cultural fun. Have supplies on hand for each guest to try then judge the results and offer small prizes. Origami, although usually associated with Japanese culture, is another cultural way to keep everyone occupied. The Chinese do have a legacy of paper-folding art known as zhezhi. Consider screening a film or documentary portraying Chinese culture, and have some good traditional music on hand. No Chinese New Year is complete without fireworks! Although your neighbors may or may not be happy about big bangs in January or February, you can probably get away with handing out sparklers or some other colorful choice to help keep that pesky Nian creature at bay.